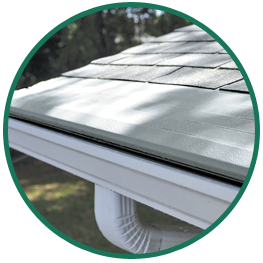 For ample ventilation in all weather conditions, nothing beats the convenience of a Renewal by Andersen® awning window from Huff ‘N Puff. Just swing one open and enjoy the breeze, rain or shine! Awning windows feature a single glass panel that is hinged at the top and swings open at the bottom. A patented locking device allows you to prop open your window at virtually any angle. Open it a little for a small stream of fresh air, or prop it open wide to capture a cooling breeze on a hot day. Because the window hinges from the top, even if it is raining outside, you can fill your home with fresh air and still keep the interior dry and safe from water damage. Awning windows are also the ideal replacement windows for homeowners who need to locate windows in a hard-to-reach place, such as over the kitchen sink or in places where ventilation is key, like in the bathroom. With a quick turn of the crank, you can get the fresh air you need with minimal effort. Adding an awning window can be a great solution to your window needs, even if your original window is a different style! As with all Renewal by Andersen windows installed by Huff ‘N Puff, our awning windows are constructed using thermally efficient Low-E glass and durable, insulated Fibrex® frames for superior energy efficiency and lasting durability. They are also backed with an industry-leading limited warranty for additional peace of mind. Take a new angle on your windows! Complete our convenient online price quote request, or call Huff ‘N Puff today at (855) 483-3678 for a free, no-obligation estimate on new awning windows.